Ven. 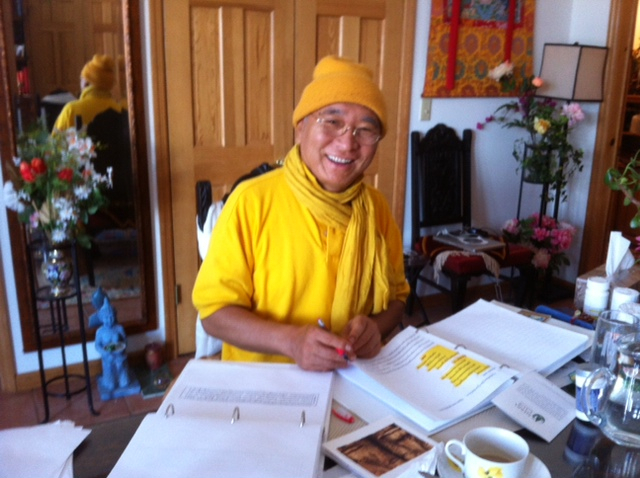 Khenpo Tsewang Dongyal Rinpoche working at Padma Samye Ling in 2013 to finalize a logic book by Ven. Khenchen Palden Sherab Rinpoche for the Central Institute of Higher Tibetan Studies in Sarnath, India.